If you’re looking for promising niche products that can take your drop shipping store to a new level, look at the selection below – here, we have collected 50 product ideas from various spheres, so you will definitely find the area you’re interested in. To begin with, let’s discuss the following: what are niche items, exactly? As we have recently explained it, there are 2 ways to select products for your drop shipping store. The first way is to pick any items you like, and add them all with no logical system or well-defined structure. In this case, you make a general store which might be really challenging to run and promote. The second way is to select a narrow niche, and only focus on the items that are connected by some specific idea. Here, you see lots of business advantages: lower competition levels, higher buyers’ engagement, well-targeted marketing strategy, and, as the result, bigger products. So, as you can guess, niche products are the items that refer to a specially defined category and appeal to a certain circle of customers. With their help, you can create a winning brand for your store, and become widely recognised as the trusted expert in the field. Ready to look at some ideas we’ve got for you? If you want to make a tech-related drop shipping store, there 2 things you need to keep in mind. First, any technology gets outdated really soon, which is why you have to always keep an eye on the industry trends and promptly update your store offer when necessary. Second, these are quite sophisticated products with really specific terms and areas of use, which is why you must know as much about them as possible. 3D printing is the technology that is literally going to change the world in the nearest future. According to the industry researches, starting from 2025, every resident of the developed countries will in some way contact with 3D printed products, and the global 3D printing market will reach the mark of $32,78 billion by 2023. Not only large-scale manufacturers demonstrate this trend: researches also note the growth of a so-called ‘prosumer’ (professional consumer) sector, which representatives buy 3D printers and accessories for some sort of in-house use. So, a drop shipping store selling various component parts and accessories for 3D printers can attract a significant number of end customers who build and use the machinery for their own personal purposes. 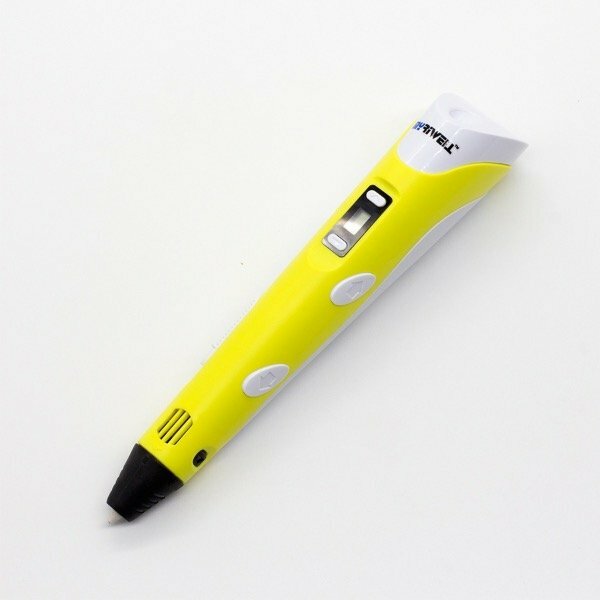 The sample product selection below includes some of the best selling and top rated AliExpress products featured in the “3D pens”, “3D printer parts & accessories” and “3D printing materials” categories. Please note: to operate in this niche, you need to have a relevant tech education, or some kind of engineering background – otherwise, you won’t be able to pick proper products for your store, promote them correctly, and communicate with your potential customers. As you can see it from the image above, drones, or unmanned aerial vehicles (UAVs), are used in multiple spheres of our daily lives. 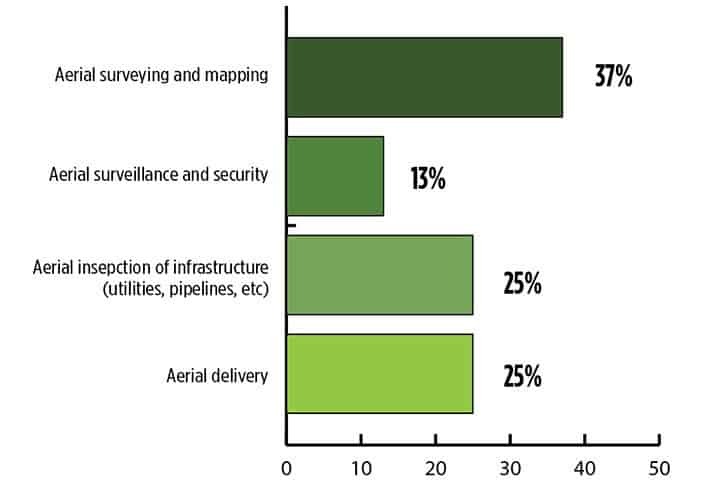 Analysts mention that drones are increasingly used to gather information for operational and big data analysis. Drone analytics market, indeed, was valued at $1.17 billion in 2016, and it is expected to hit the mark of $5.41 billion by 2022. At the same time, it is estimated that the drone logistics and transportation market value will be $11.20 billion in 2022 and $29.06 billion in 2027. Still, much like the already mentioned 3D printing sector, the drone market is not taken exclusively by huge enterprises: the global consumer drones market is predicted to show a 16% compound annual growth rate during the period from 2017 to 2021. 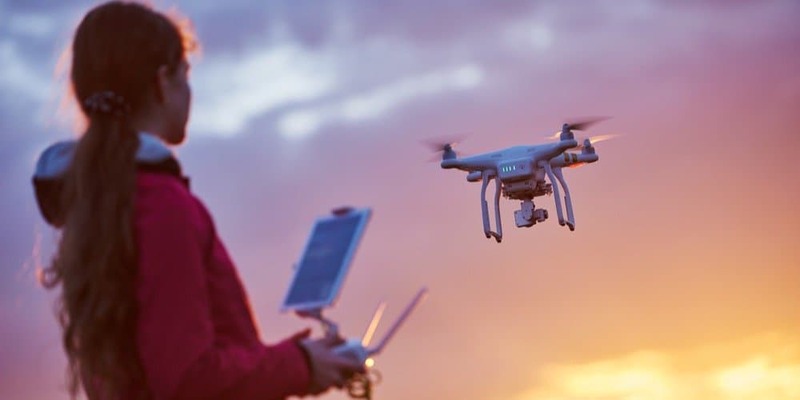 Interestingly enough, the same survey reveals that one of the major drivers for the consumer drones market is the emergence of low-cost drones. So, it might be a valid business idea to fill your drop shipping store with various supplies that can by used by skilled buyers to either build their own drones, or repair/upgrade the already existing ones. 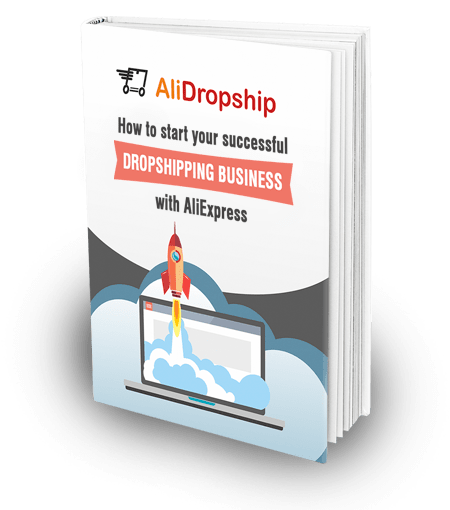 Again, to create and run a dropshipping store in this niche, you need to know a lot about drones, their functionality and maintenance, and be experienced enough to find the highest quality offers on AliExpress. It appears that since 2016, the global population has been using smart mobile devices, such as smartphones and tablets, more actively than traditional personal computers. Notably, it was confirmed that for their Google queries, people use mobile devices more often that desktops. Plus, the increased usage of mobile devices lets the industry analysts predict that by 2020, the global mobile payment transaction volume will reach $2,89 trillion by 2020. Simply speaking, smartphones and tablets already are an integral part of our life (in India alone, there will be over 700 million smartphones by 2022). Due to the specific features of modern communication and information production, for many of us, it is important to be able to check these devices at any moment. So, it might be interesting to create a drop shipping store filled with the products that allow the mobile devices owners to stay in touch round the clock. Even though this particular niche doesn’t strictly oblige you to be an expert in a narrow tech field, you should anyway monitor the market regularly, and take note of all the newest product launches – both the accessories themselves and the devices (like Apple products) that are only compatible with some particular, exclusive expendables. Conscious consumption means that you, as a customer, understand that your buying activity influences the environment and the common well-being in general. Present-day ecological issues heavily affect a noticeable part of the purchasing decisions of green activists and everyone caring about the planet’s current state. If you like and support the idea of living the eco-friendly life, take a look at the business ideas below. By 2030, the demand for energy will rise by 50%. A higher demand for energy and a bigger volume of its production raises concern about the volume of emitted greenhouse gas, and makes countries worldwide look for clean sources of energy. This is why the global investment in renewable energy is expected to reach $228.3 billion in 2018, and 154.6 gigawatts of new renewable power capacity are estimated to be adopted worldwide by the end of this year. Obviously, not only governments and high profile scientists can reduce the risk of a global energy crisis: in their own households, ordinary people can make a difference, too. Here is just a tiny sample selection of demanded energy-saving items you can find on AliExpress and add to your drop shipping store. Recycling, waste reducing and items reusing are easy-to-follow steps for each and every one of us: even if they seem to be insignificant on a global scale, they actually slow down the negative environmental effects of the growing amount of waste. Gradually, the switch to eco-friendly, reusable products becomes ‘a new normal’: it’s not only a socially approved behavior pattern, but a fashion statement as well. In 2017, reusable water bottles became a kind of a status symbol widely demonstrated by celebrities and influencers alike. In 2018, various types of reusable products gained the status of ‘the hottest travel trend of the year’. So, if reusable products are an integral part of your daily life, you’re not simply ‘a crazy activist’: you’re a responsible and mature person who follows the hottest trends and stays aware of the current cutting-edge fashion. What about sending this message to your business customers? Speaking of the daily life, it’s important to remember about the tiniest elements that surround us during the most rounite activities. They don’t simply spice up the boring stuff you go through every day – they also demonstrate your individuality and reflect your hobbies, interests, and passions. Star and moon decorations are not just trendy ideas for students who want to beautifully adorn their dorms. Astronomy-related patterns, as well as galaxy-inspired color schemes, are thought to be the biggest interior design trend for 2019. By the way, in our previous article, we have explained why this particular niche is a good choice for a timeless drop shipping store, so don’t forget to take a look at it to read more about this market research, and check some product ideas. Below, we will only show a tiny selection of frequently bought AliExpress items that fall into this category. The so-called ice-cream pastel colors that were a huge interior trend in 2018 are still standing their ground and even expanding their influence. Apart from being actively featured in home decor elements, pastel colors are now chosen for hair coloring, runway makeup, and, most importantly, high fashion collections for spring/summer 2019. Let’s look how AliExpress suppliers incorporate this color into their product offers! 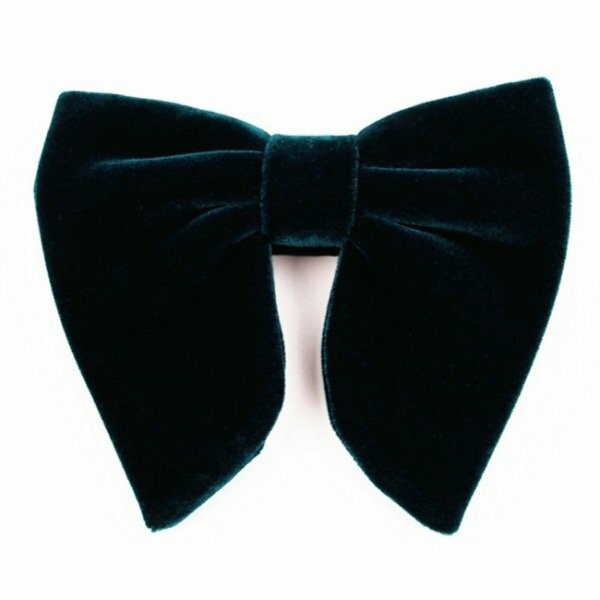 Now, it seems logical to talk about fashion, so let’s start right away. New York Fashion Week has shown everyone’s addiction to bright, catchy, neon colors. Neon clothing and accessories are already called the biggest fashion trend of spring 2019. So, these colors are expected to be seen not only in streetwear and workout clothes, but in more sophisticated outfits as well. How about offering some of the items below to your drop shipping store visitors? The same New York Fashion Week has declared the return of oversized shirts and dresses: various designers include them in their cozy outdoor collections. Some of the industry observes link this trend to the growth of popularity of 1980s-inspired clothing, which is widely remembered by padded shoulders, big pockets and overall baggy silhouettes. Whatever the reason for oversized clothing revival is, it’s anyway a good pick for a drop shipping store selling apparel. As we have already mentioned it, since people don’t have a chance to try on your clothes before purchase, it’s better to opt for the clothes with a loose cut: most likely, they will suit any customer regardless of their body type. Rich velvet textures are not only used to make luxurious accents in interior design. 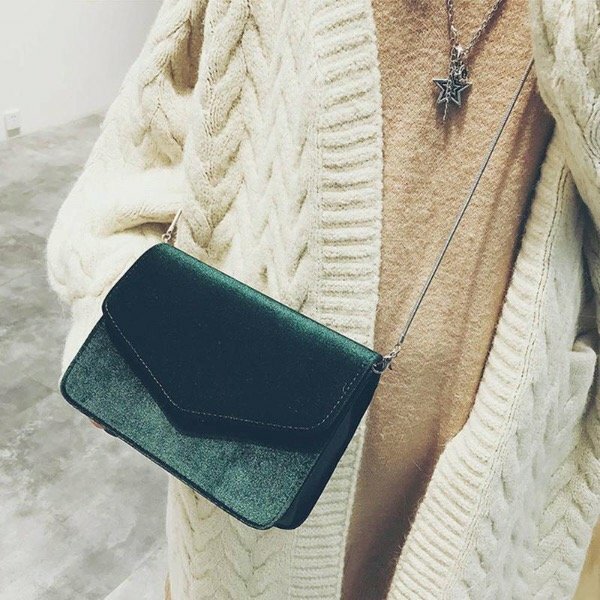 In terms of clothing, velvet elements are worn both for evening outfits and routine daily occasions, which certainly means they are an emerging trend of this autumn and winter. And of course, you shouldn’t forget about yet another 80’s-90’s hit that got revived again. 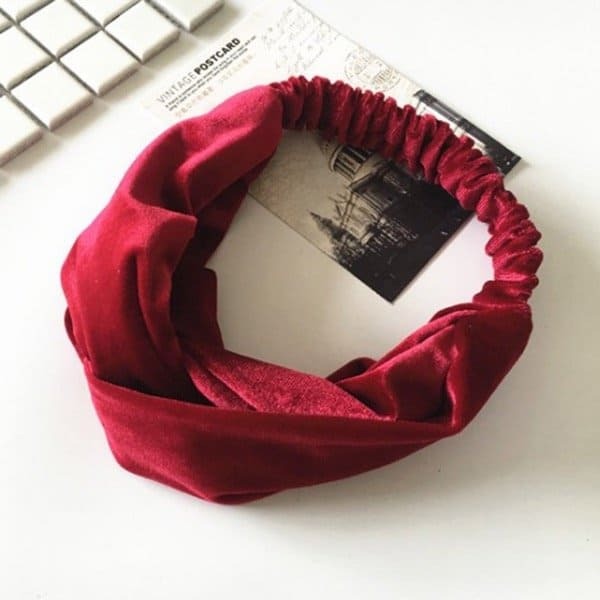 Yes, we’re talking about scrunchies – look how many AliExpress orders they already have! That’s the end of our niche product selection! Feel free to use any of these ideas in your search for the perfect drop shipping niche, and don’t forget to test the potential of the chosen niches with our awesome free automated tool! I always read your articles. Very rich with quality information. Thank you I will try some of your recommended products. I can’t agree more! )))) Super blog! awsome products reviews. 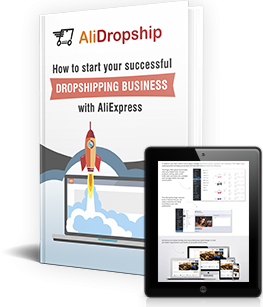 I was purchase alidropship plugin it’s really good for Ali dropship business. How profitable and manageable your dropshipping is, would you mind sharing? Your content always inspired me. Good job done keep the great work up. I want to start my own drop shipping store very soon and I will like to use facebook as a tool to promote it. 1. Do I need to create another facebook account or to connect it to my existing facebook page. 2. Am from Nigeria due to our reputation online under the team section should I indicate my bio as the CEO of the store . I want to use alidropship plugin in my https://watchesstore.me , Is that possible still now?? This is great. I am inspired to sell reusable eco friendly products. I tried to run an ad about a reusable item that is eco friendly and good for the environment but my ad is not approved by Facebook for the reason that my page is not authorised to run ads related to politics or an issue of national importance, “environment” being the issue of national importance here. I have been advised by Facebook to authorise my page but to do that, I have to be USA citizen residing in USA, which I am not. So how do I go about this? Greatly appreciate your advise on this. Try writing directly to the Facebook support, and explain them your situation. Generally, they are quite helpful, and can advise you a way out. Also, try creating new types of ads that don’t mention the words “environment” or “eco-friendly” – try “green”, “nature-friendly” or “sustainable” instead.